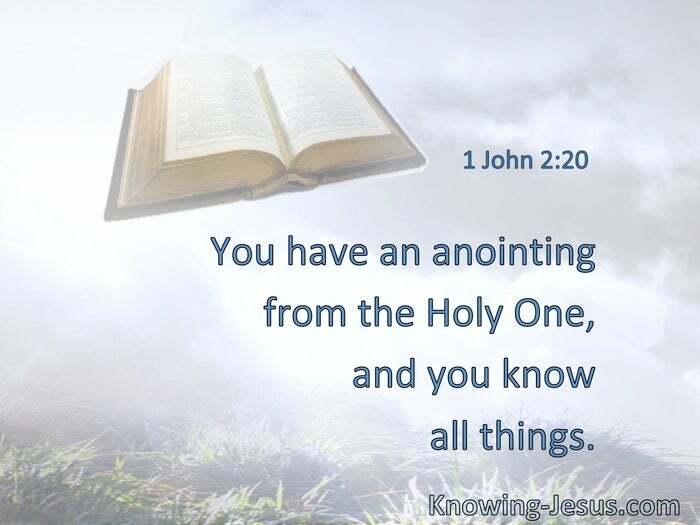 You have an anointing from the Holy One, and you know all things. 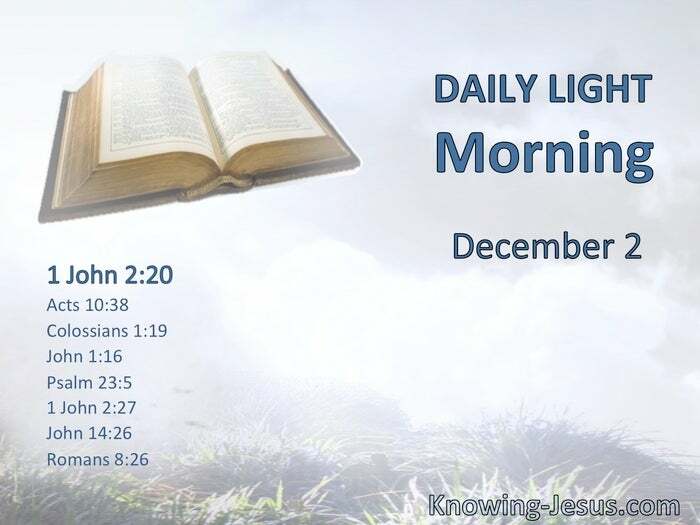 God anointed Jesus of Nazareth with the Holy Spirit and with power. § It pleased the Father that in Him all the fullness should dwell. § Of His fullness we have all received, and grace for grace. You anoint my head with oil. § The anointing which you have received from Him abides in you, and you do not need that anyone teach you; but as the same anointing teaches you concerning all things, and is true, and is not a lie, and just as it has taught you, you will abide in Him. The Helper, the Holy Spirit, whom the Father will send in My name, He will teach you all things, and bring to your remembrance all things that I said to you. The Spirit also helps in our weaknesses. For we do not know what we should pray for as we ought, but the Spirit Himself makes intercession for us with groanings which cannot be uttered.